Major transformations are reshaping the role, scope, sphere, and shelf life of the Chief Marketing Officer. CMOs are under increasing pressure to effect major change, with a wider sphere of influence, and in a shorter amount of time than ever before. Sustainability is one critical aspect of this wide sphere of influence. As consumer preferences shift to demand more responsible products, businesses are working hard to build brands that can thrive within the new nexus of consumer, governmental, and regulatory standards. 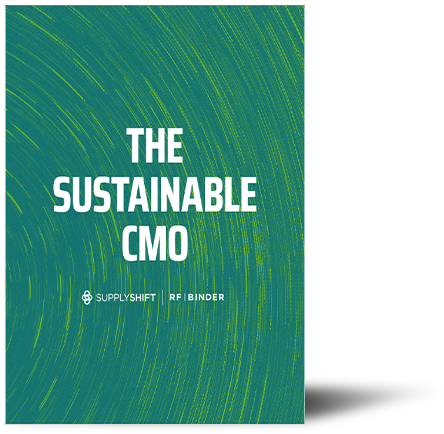 As a result, more CMOs find themselves owning responsibility for their brand's approach to sustainability, for both the products they sell and the brand's identity overall. In this white paper we explore the themes that affect today's CMOs and identify the critical characteristics of a successful and sustainable CMO.